B-17’s are outbound headed for home, about 40 miles North of their target, Bizerte, Tunisia. It is about noon, March 23, 1943. This is Darrell’s 2nd victory. The following day, he takes command of the 27th FS. 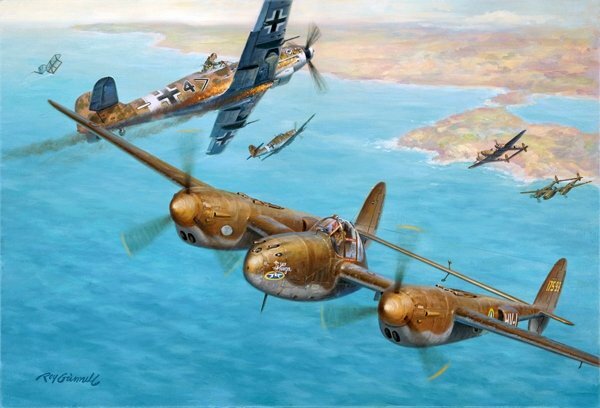 He will finish the war with 5 confirmed victories over the Mediterranean in Sky Ranger.